Deontay Wilder defeated american heavyweight boxer Eric Molina with a knockout victory but in rather underwhelming performance this saturday night and retail his WBC heavyweight title. Molina was no match to Wilder’s power, youth as he was knocked down three times before the fight was stopped in 9th round. Nobody gave a chance to Molina in a fight was a pretty much a tune up for Wilder as he eyes a fight against either Wladimir Klitschko or Tyson Fury late in the year or early next year. Molina did catch Wilder couple of times during the 9 rounds but overall Wilder’s superior boxing abilities and power came through as the fight was stopped in 9th round. 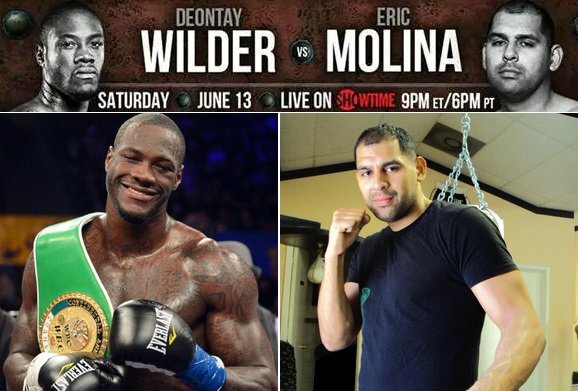 WBC heavyweight champion Deontay Wilder will be defending his title against Eric Molina this saturday night at Bartow Arena, in Birmingham, Alabama, USA the fight is part of “Showtime Championship Boxing” and the coverage will start at around 21:00 ET/18:00 PT. On paper this is pretty much a simple affair for Wilder who should get an easy win but in Eric Molina you have a powerful puncher who can change the course of the fight in split second. But looking at both fighters resume and current status you have to go with Wilder to get a win here and than probably setup a fight against the winner of Klitschko/Fury early next year. 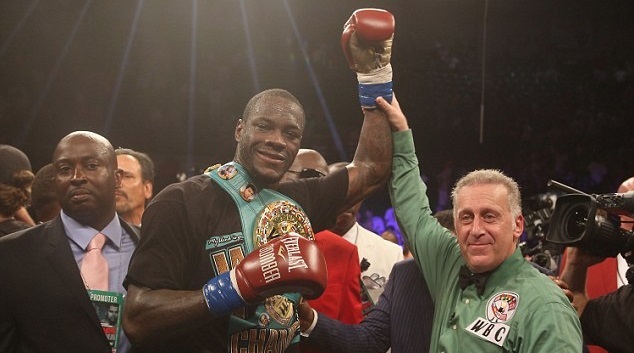 Deontay Wilder has been widely regarded as America’s finest heavyweight in last decade and so far his record stands at 33-0 with 32 knockouts only his last fight against Bermane Stiverne went the distance. Eric Molina is a decent fighter but nowhere near good to put up a real challenge for Wilder, Molina already have two losses to his name and his record stands at 23-2 with 17 knockouts which is his only chance of upsetting the odds this saturday. Wilder needs to get a quick knockout here to keep his status as knockout artist, Molina is no superman by any means he has been knocked out in the first round before against Chris Arreola and Ashanti Jordan, although those defeats came along time agao and Molina is definately a better fighter.